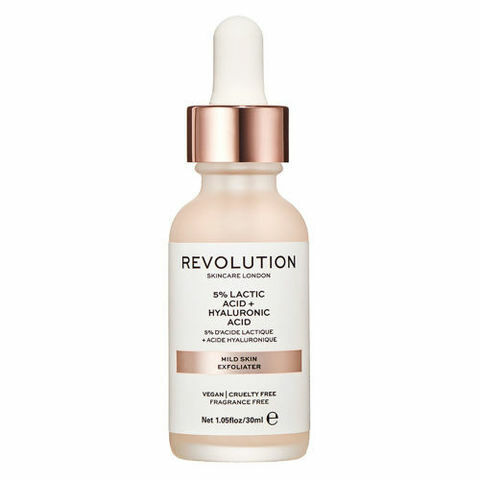 Treating the top layer of skin, Revolution Skincare Mild Skin Exfoliator evens out texture and tone for a smoother, healthier-looking complexion. 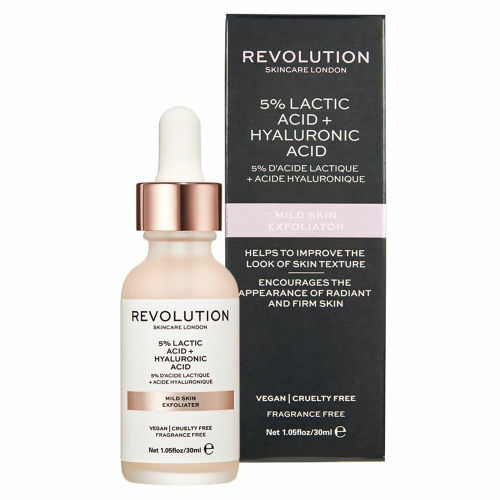 This gentle liquid formula uses lactic acid and hyaluronic acid to help with hydration, promoting the appearance of radiant and firm skin. May cause enhanced sensitivity to sunlight, always follow with sun protection.